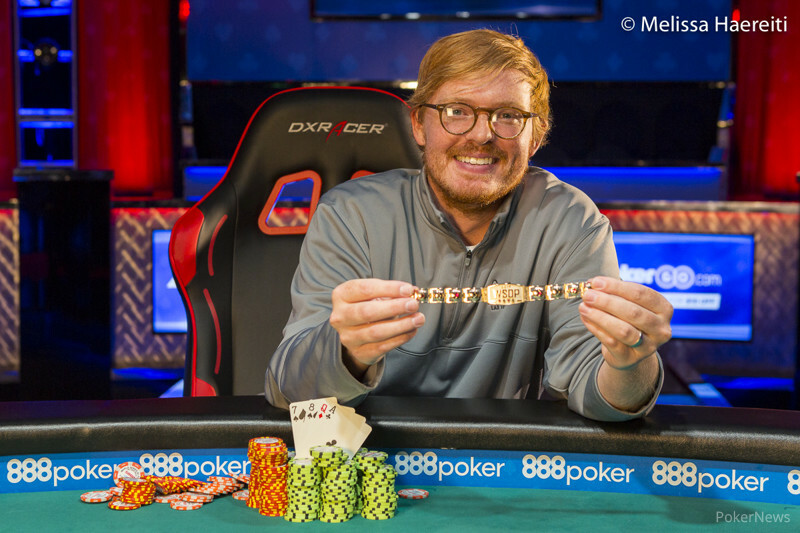 Tyler Smith emerged victorious in the first Pot-Limit Omaha tournament of the 2017 World Series of Poker, Event #18: $565 Pot-Limit Omaha, for $244,344 and his first gold bracelet. The event drew a staggering 3,186 entries, making it the largest live PLO event ever held (and beating last year's previous record by 707 entries). 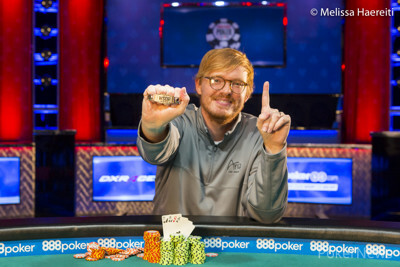 The win represents the biggest cash of Smith's poker career thus far and puts his lifetime earnings in excess of $1,000,000. 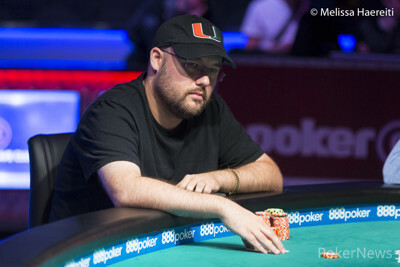 While Smith had a dominating chip lead for much of the final day, he still had to fight through a final table full of fearsome opponents, including 2014 WSOP Asia-Pacific Main Event winner Scott Davies. The first elimination of the day occurred when play had been underway for approximately an hour. Yves Kupfermunz put his stack in on the river and discovered, to his dismay, that his opponent, Igor Sharaskin, had a straight flush. Next to fall was Ryan Wince, who got his stack in on the flop with a draw and failed to improve against his opponent's top set. John Dallaire finished in seventh place when he got his stack in preflop with a handful of baby cards against Sharaskin, who held all Broadways and got no help from the board, thus ending the Arkansas native's first-ever PLO tournament. 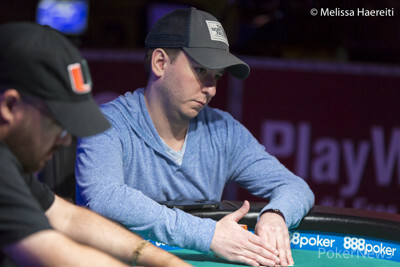 Jessie Bryant, who had the chip lead at the start of Day 3, was the next to go. First, the eventual Champion doubled through him to leave him with less than one big blind, and then Sharaskin took the remainder of Bryant's stack just two hands later when he was all in on his big blind. 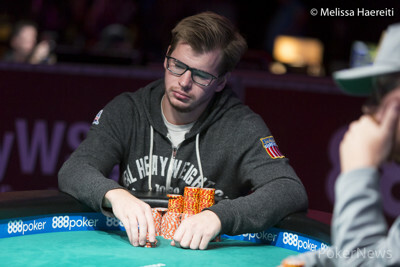 Next, Marek Ohnisko was eliminated in fifth place when he got his stack in with the nut flush draw against Tyler Smith, who had flopped queens full. The fourth-place finisher was bracelet winner Scott Davies, whose deep run in this tournament came to a close when he got his stack in preflop with aces but Smith flopped a flush. Igor Sharaskin finished in third place when he got his stack in preflop with double-suited queens against Smith, who had an ace-king hand and spiked an ace on the turn. Heads-up play lasted only one hand. 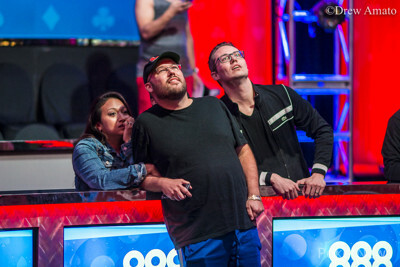 Jason Stockfish, whose rail had been incredibly enthusiastic and steadily growing the entire day, got all his chips in the middle preflop with a suited ace and connecting sidecards but found himself behind and got no help from the board. Smith won the pot with ace-queen high and a pair of jacks that were on the board to take the title. The next item on the 2017 World Series of Poker PLO schedule is Event #25: $1,000 Pot-Limit Omaha, which will begin on Tuesday, June 13. Be sure to keep up with all the action right here on PokerNews. In the first hand of heads-up play, Tyler Smith opened to 600,000, and Jason Stockfish thought for a moment or two before moving all in. Smith called. The board ran out , and Smith won the pot and the tournament with jacks and an ace-queen. It was all over. Stockfish was eliminated in second place, and Smith was the Champion. Igor Sharaskin called from the small blind, Tyler Smith raised to 600,000 from the big blind, Sharaskin moved all in, and Smith called to put him at risk. Sharaskin had the preflop advantage, but the board ran out to pair Smith's ace and eliminate Sharaskin. On the last hand before the break, Tyler Smith opened for 400,000, then called a 900,000-chip shove from big blind Igor Sharaskin. Tyler Smith raised to 400,000 from the small blind, Scott Davies made a pot-sized three-bet to commit most of his stack, Smith four-bet, and Davies called to put himself at risk. Davies had the preflop advantage with aces, but the flop came to give Smith a flush and leave Davies in terrible shape. The turn and river were no help to Davies and Smith took the pot to send Davies to the cage. Tyler Smith opened for 320,000, and Scott Davies moved all in for 900,000. Smith called. The board ran out , and Davies doubled up with kings up. Tyler Smith raised to 400,000 from under the gun and Marek Ohnisko called from the big blind. 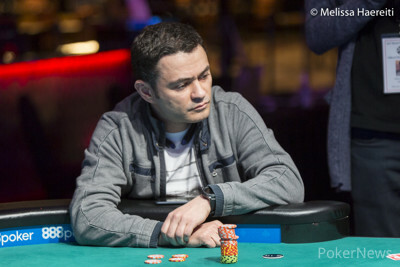 The flop came , and Ohnisko made a pot-sized bet of 880,000. Smith raised to put Ohnisko to a decision for the remainder of his stack, and he quickly called. Ohnisko had flopped the nut flush draw but was drawing dead to runner-runner straight flush against Smith, who showed queens full of sevens. The board ran out with the on the turn and the on the river, and Smith won the pot to eliminate Ohnisko.